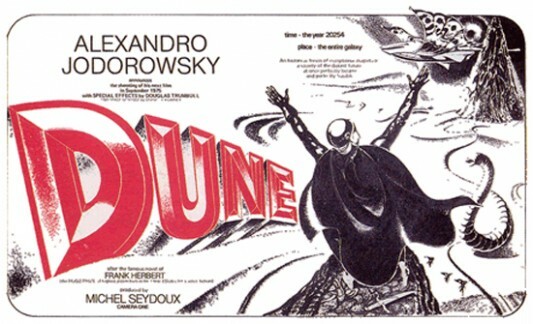 Frank Herbert‘s 1965 science-fiction epic Dune had long been considered impossible to translate to film. Set 21,000 years in the future, in deep space, and on a planet made completely of sand (amongst gargantuan sandworms), it would require a budget of millions, special effects beyond the capabilities of the era, and more than all that, a director audacious enough to bring it to life. In 1974, Chilean surrealist filmmaker Alejandro Jodorowsky was eager to accept the challenge. And while ultimately he wouldn’t succeed (where David Lynch eventually did, ten years later), his struggle to make Dune a reality would go down in history as one of cinema’s great “lost” projects. That struggle has been chronicled in the documentary Jodorowsky’s Dune, which was recently released as a Blu-ray/DVD Combo Pack – read our FamousMonster’s review here. I recently spoke with the film’s director, Frank Pavich. Jodorowsky’s Dune, one of the best documentaries released in 2014 and a definite inclusion on my end-of-the-year “best of” list, is making its home video debut this week. In case you know nothing about Frank Pavich‘s entrancing and informative feature following the development and collapse of the greatest sci-fi motion picture never made – read our FamousMonster’s review here – the good folks at Indiewire have provided us with a mind-melting sequence from the film. You can check out the 10-minute sequence here below. 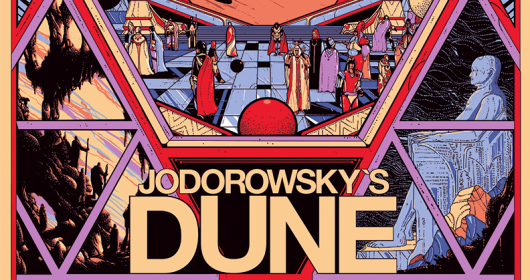 The latest trailer for the upcoming documentary Jodorowsky’s Dune has premiered. You can check it out here below. Directed by Frank Pavich, Jodorowsky’s Dune takes an exhaustive look at the development and collapse of what is considered the greatest film never made – an epic adaptation of Frank Herbert‘s classic sci-fi novel Dune helmed by the Chilean surrealist filmmaker responsible for such mind-melting cult classics as El Topo, The Holy Mountain, and Santa Sangre – through contemporary interviews with Alejandro Jodorowsky, Star Wars producer Gary Kurtz, Drive/Only God Forgives director Nicolas Winding Refn, and many more.